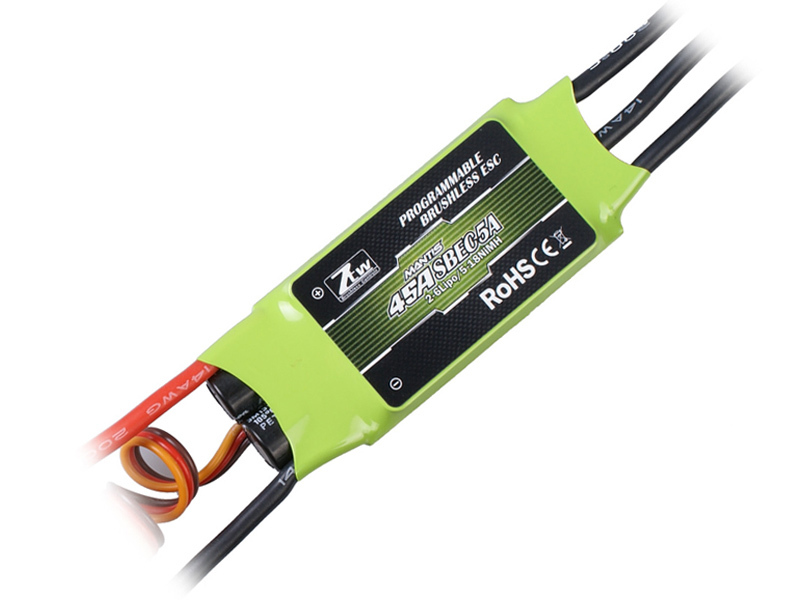 A very solid ESC with wide range of adjustable parameters. It can be programmed either via your RC Tx throttle stick, or with the help of electronic programmer. There is temperature protection built in set at 110 C, limiting power until the device cools down sufficiently. 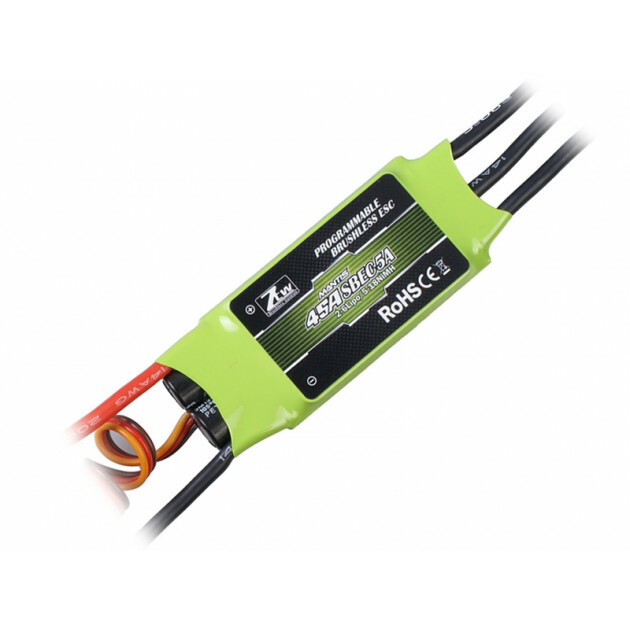 Motor power is interrupted in case of RC signal loss.